My auntie prepared this Bobby Flay recipe on Superbowl Sunday. She said that she thought the thyme was a little overpowering, but that the dish was well-received by her guests. She also recommends using an immersion blender rather than a traditional blender. Looks yummy to me and is definitely going on the list to try. Love her step-by-step pictures. 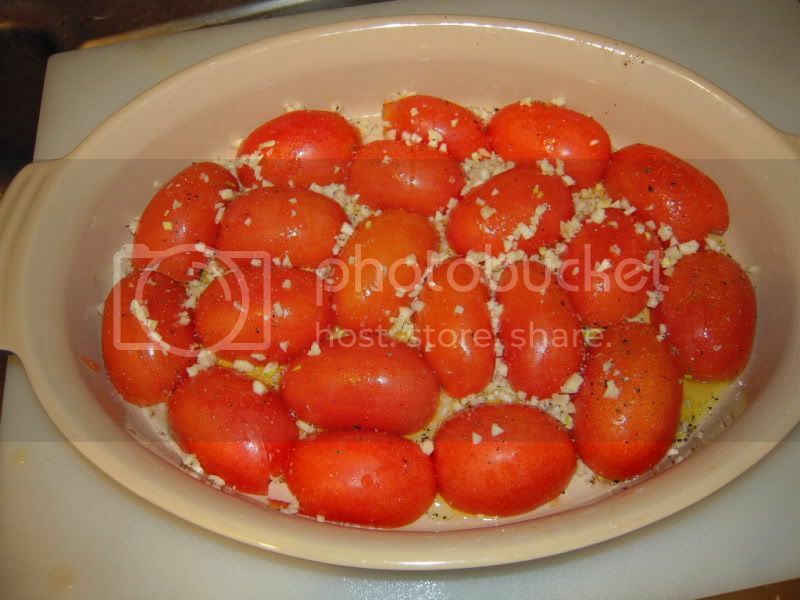 Preheat oven to 325 degrees F. Place tomatoes in a large baking dish and drizzle with 2 tablespoons of the olive oil and sprinkle with the garlic, season with salt and pepper. 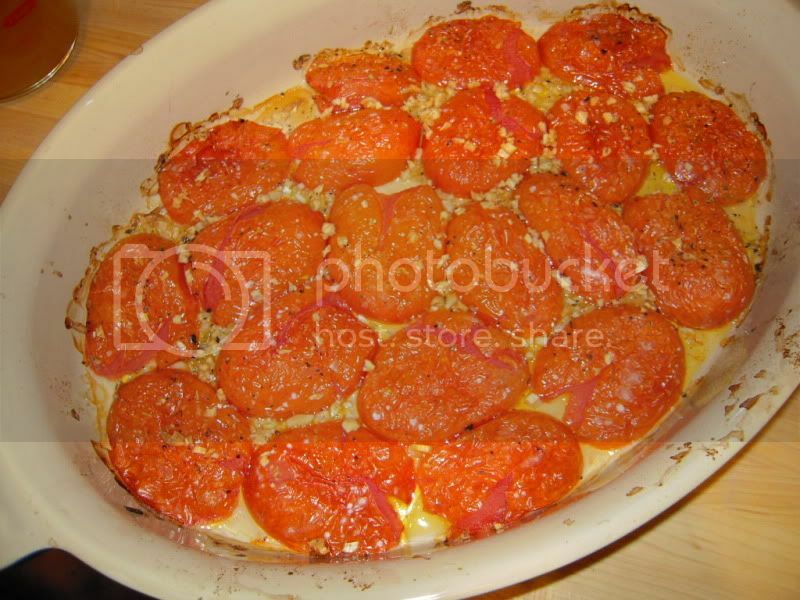 Roast for 25 to 30 minutes, or until the tomatoes are soft. Heat the remaining olive oil in a medium stock pot over medium heat. Add the onions and carrots and cook until the onions are soft, about 5 minutes. 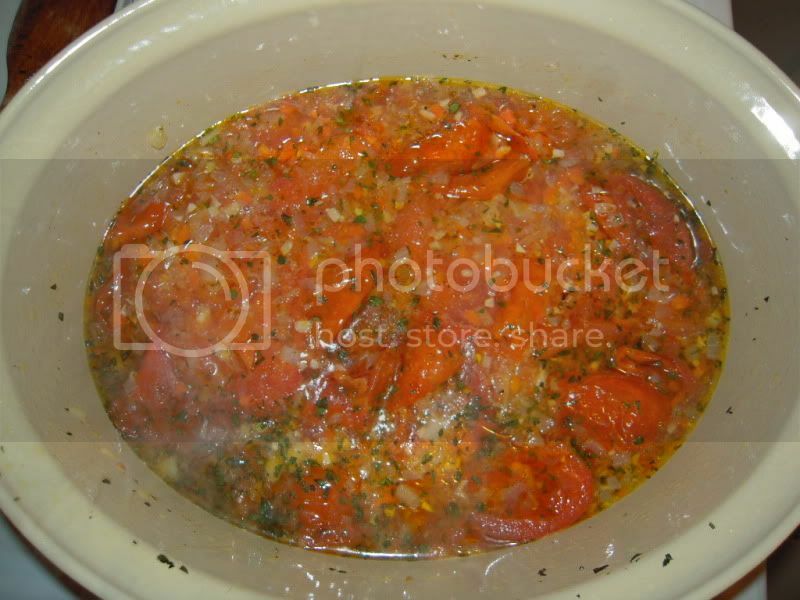 Add the roasted tomatoes, garlic, and the juices that have accumulated. Add the stock and fresh thyme and cook for 20 minutes. 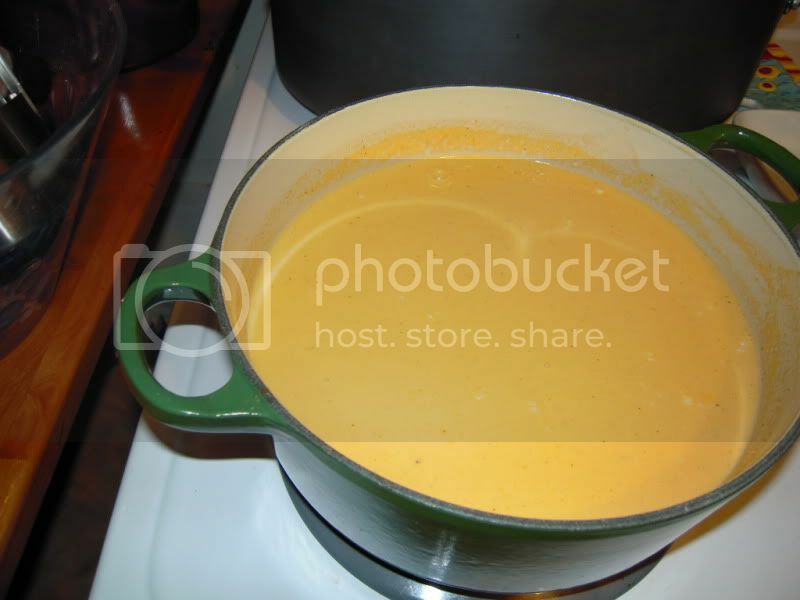 Place the cream in a small saucepan over medium high heat and cook until reduced by half. 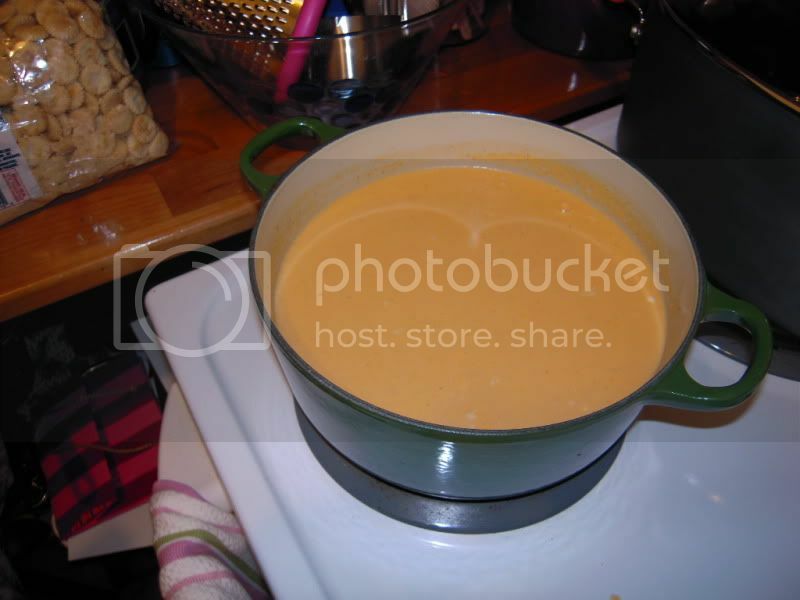 Transfer the mixture to a blender and blend until smooth, strain into a clean saucepan over low heat, add the reduced cream, and cook for 5 minutes.